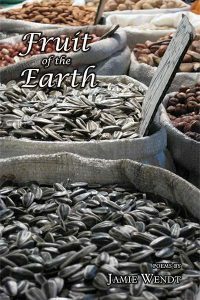 In this powerful and exquisite collection of poems, Jamie Wendt, a graduate of the University of Nebraska MFA program whose poetry has been published in various literary journals including Lilith, Raleigh Review and Minerva Rising, locates the interplay between the material and spiritual inheritance of land and people through themes of place, and displacement. In poems of vivid imagery and a strong, narrative voice, her experiences and questions are lived out while allowing that there is mystery that can only be accessed by the act of choosing, and choosing again, over a lifetime. Central to all is what it means to be a people uprooted and displaced through time while having a communal and religious identity as the locus of permanence even when the search for home—for security, freedom and peace–is an ongoing struggle. the sounds of Yiddish, of names past. These finely crafted and thoughtful poems are a meditation on themes essential to our understanding as we work to heal our culture and our world—to find a place for everyone on this beautiful earth amidst so much struggle and pain. By evoking essential themes of home and family and of the cost of losing touch with our places over time, they speak to courage and resilience and all that conspires against us in our attempts to maintain those connections. In the wake of a horrible tragedy in an American city—at a time when all Americans need to remember who we are, where we come from and where we want to go as a people committed to justice, freedom, and peace—this lovely book of poems is a roadmap and guide to our collective journey forward. Michelle Wilbert is a writer, spiritual director and retired midwife. She is the music programmer for the Crazy Wisdom Bookstore and Tearoom Acoustic Music Series in Ann Arbor, Michigan, married to Ben and mother to four young adult children.